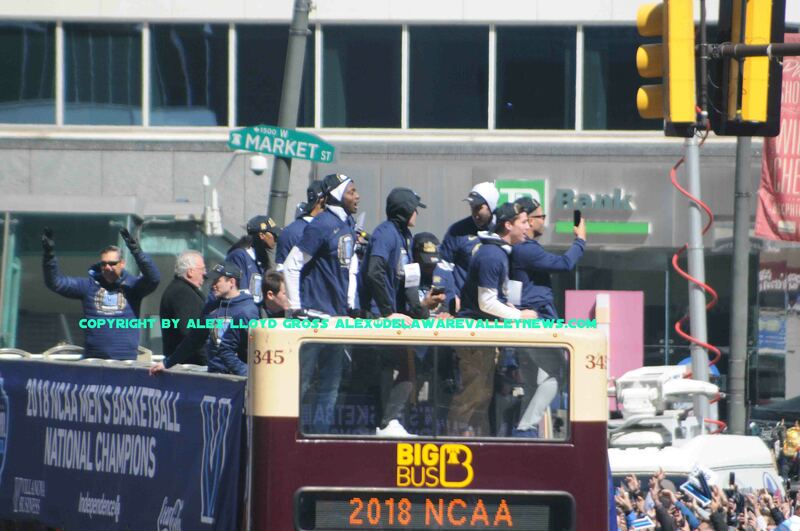 The Villanova Wildcats rode down Market Street like champions today, April 5 2018. They are champions and they earned this parade. About 60,000 people lined the parade route which went from 20th and Market Streets to city hall. There were about 35 vehicles in the parade, ranging from fire trucks to police cars. 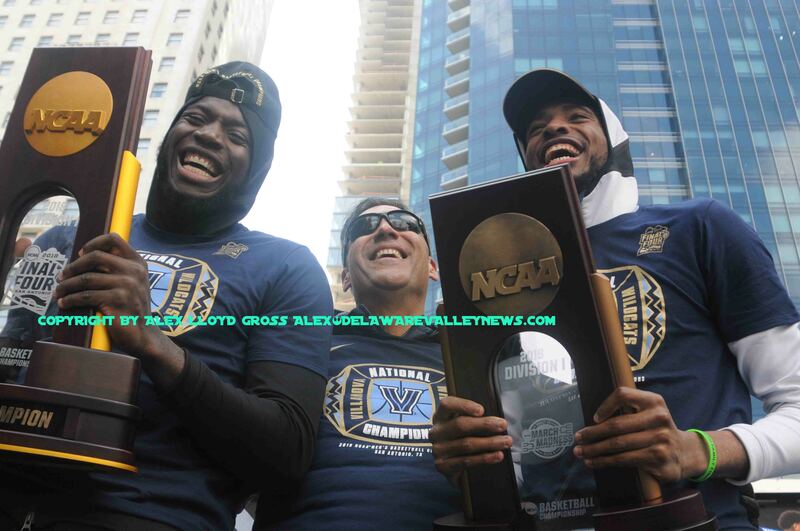 Alex Lloyd Gross Photo- Delaware Valley News.com Villanova players get showed with confetti during the parade. 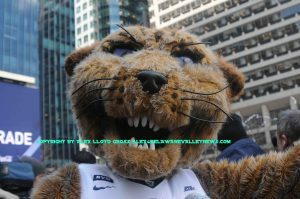 While technically Villanova is not located in the city, it’s close enough and they play some of their home games at the Wells Fargo Center. It was only fitting that the team gets their due. from about 9:45 AM Market Street to traffic. By 10:15 AM several charter buses arrived near 23rd Street at Market. Media had already boarded their buses and they swarmed the charters waiting to get photos of the team coming out. Alex Lloyd Gross photo- Delaware Valley News.com The team wave from their bus to the crowd. By 11:15 AM, the parade was started. Fire trucks from the Main Line area, Radnor Police and cheerleaders. Preceded the team. Within a few moments, large top double decker buses came into view with the players waving to the crowd . The parade was a quick one. It was about a 20 minute ride down Market Street. Alex Lloyd Gross Photo- Delaware valley News.com players get overwhelmed during their remarks. On the ground, bootleggers were trying to get rid of their T=Shirts. Anything with a “V” on it was fair game to be sold. The T Shirt sellers were not happy when the team tossed out official shirts for free. At city hall, the team tossed out several hundred more, gifting the crowd and driving the illegal sellers away, causing them to lose money. They were trying to sell them for $5.00 each and had no takers. There was a small stage set up and the team took up their positions, sitting on chairs. Some of the team members gave brief remarks. All of them thanked the city and wanted to praise their university. You could tell that some of them were overwhelmed at the response from the crowd. The school was closed today, to give students a chance to see the team and parade.